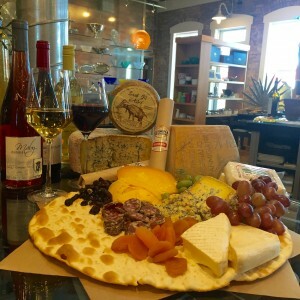 E very day is the perfect day for wine and an artisanal cheese platter from So Gourmet. We carry a large variety of gourmet cheeses, along with a selection of salami from around the globe to treat your palate. Our platters and wine are available to you anytime the store is open. Enjoy on one of our popular balconies overlooking Palafox and Main Streets or have your cheese wrapped up for a cozy evening at home!